Anyone who has been diagnosed with a terminal illness such as cancer, congestive heart failure, emphysema or any illness where a cure is not currently possible. The staff at Hospice of the Valley is specially trained and certified to care for individuals with terminal illnesses. Generally speaking, most home care agencies are not specialists in caring for the terminally ill. In traditional home care, the patient must be homebound; not so with hospice care. Patients are encouraged to do as much as they feel they can do. 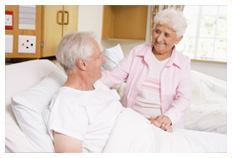 Under hospice reimbursement, the patient is entitled to additional items and services as appropriate. Hospice care is also a benefit provided under Medicare, Medicaid and most types of private insurance. Generally, hospice care is offered when a physician certifies that a patient has a life expectancy of six months or less. However, care can be extended if the patient's condition warrants. How quickly can hospice care be provided? Once a referral is made, Hospice of the Valley will make the admission as soon as needed. How do I request hospice services? You can ask your doctor to make a referral to Hospice of the Valley or you can contact Hospice of the Valley yourself and request services. If I am being cared for by Hospice of the Valley, do I still see my doctor? Yes. 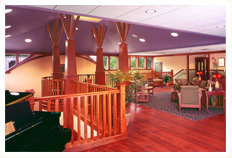 Think of Hospice of the Valley as an extension of your physician's office.